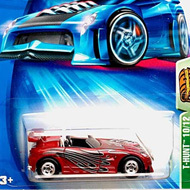 11/12 from the 2004 Treasure Hunt series. 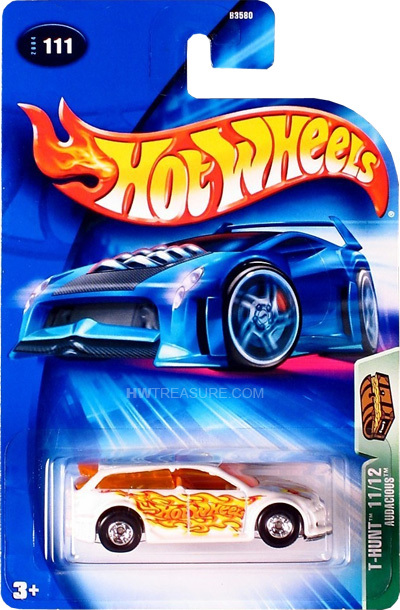 The white Audacious is emblazoned with red, orange, and yellow flames, “Hot Wheels” on the sides, and the TH logo on top. 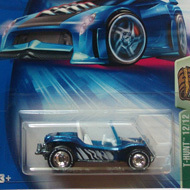 It has orange tinted windows, tan interior, Deep Dish Real Rider wheels, and a chrome plastic Malaysia base.